Nutrient-rich chia seeds make for a nourishing pouch snack your kids will enjoy. This recipe comes in handy as a topping on your morning granola with plain yoghurt too. 1. Place all ingredients into your blender and blend until combined. 2. 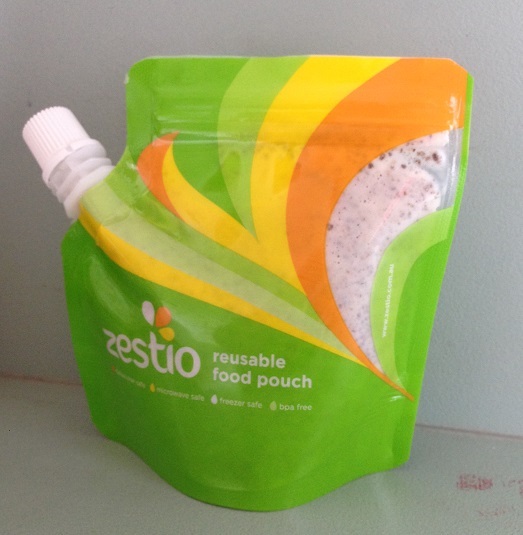 Pour into two Zestio Reusable Food Pouches and place in the fridge overnight or for a minimum of 3 hours. 3. 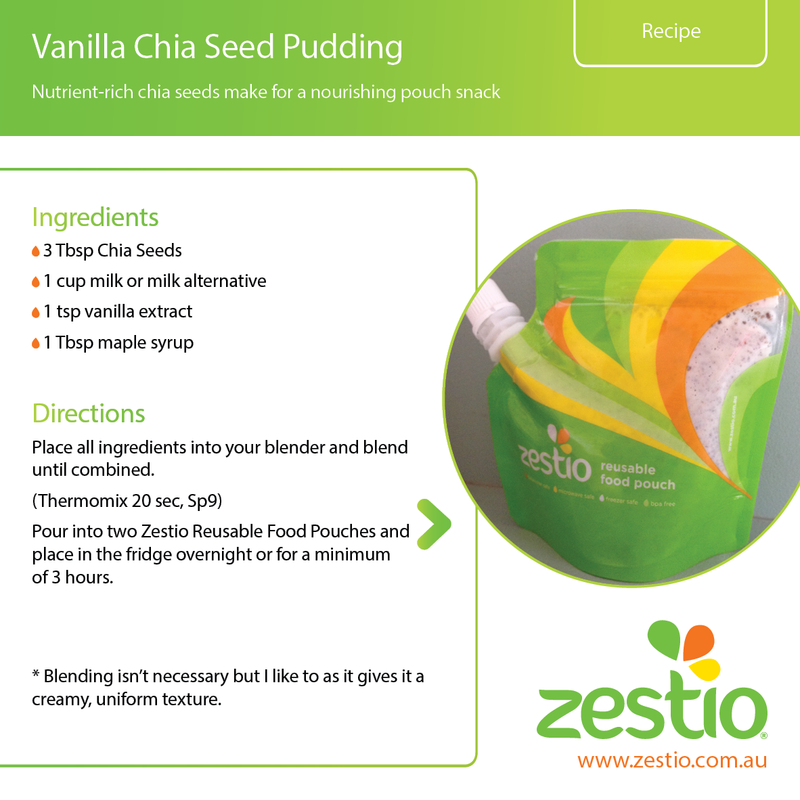 Enjoy as a pouch snack on the go or use as a topping on your morning cereal or yoghurt. * Blending isn’t necessary but I like to as it gives it a creamy, uniform texture. My children also prefer it this way (“Without the seeds” they say).